How Much Does It Cost to Stay in the Cinderella Castle Suite? Many people wonder just how much it costs to stay in the Cinderella Castle Suite at Disney World. The answer is—nothing at all. Overnight stays are by invitation only. The Royal Rooms at Disney's Port Orleans Riverside Resort feature articles borrowed from Princess Tiana and her Prince and Princess buddies, including Aladdin's magic carpet, the Little Mermaid's fork, and in-room fireworks courtesy of, well, Tinkerbell? You'll feel like a VIP staying at Disney's Contemporary Resort or Bay Lake Tower when you can bypass the crowds and walk to and from your resort from the Magic Kingdom. Another Disney princess, the Little Mermaid, has her own themed section of Disney's Art of Animation Resort. If you want a glimpse into the wonders of the Cinderella Castle in Disneyworld, you can dine in the castle's special dining room. You can even meet a Disney princess. The dining room is in a storybook setting with soaring stone archways, medieval flags and stained-glass windows overlooking Fantasyland. 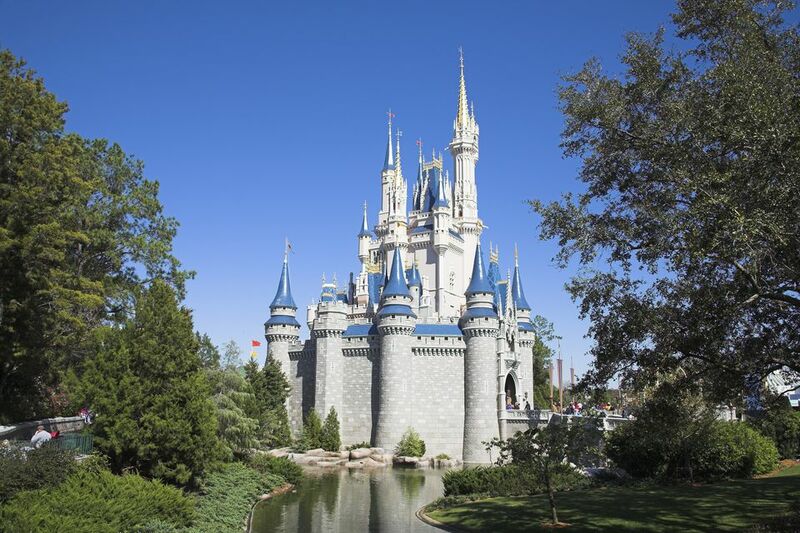 The Cinderella Castle is the symbol of Disneyland and was recognizable from the early Disney television series. The castle, reminiscent of Germany's ornate Neuschwanstein Castle, features turrets, soaring spires, and royal-blue rooftops. The castle is 189-feet high and is the backdrop for events and evening fireworks at the Magic Kingdom. The castle is surrounded by a moat, grass, and a rose garden and, at night, castle glows magically with 16 million lights.